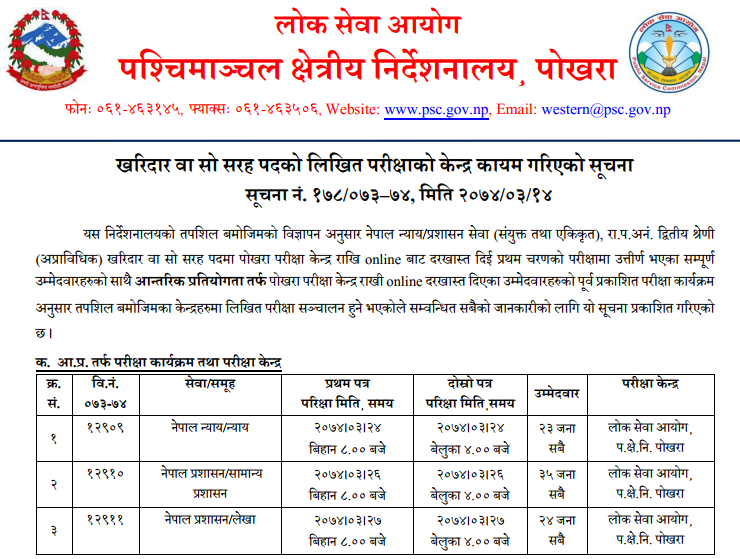 Today 28 June, 2017 [14 Aashad, 2074], Pubic Service Commission (PSC) [Lok Sewa Aayog], published the 2nd Phase Written Examination Centers of POKHARA [Candidates who filled the form online stating Pokhara Center and succeed in 1st Phase Written Exam] for Non-gazetted Second class-Non-Technical, Kharidar or equivalent along with the exam centers for 'Internal Competition'. 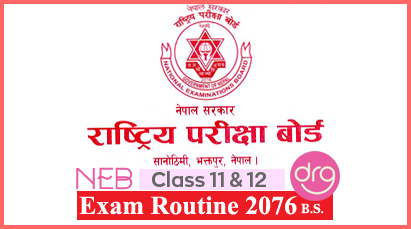 २०७४/३/१४ - लोक सेवा आयोग, प.क्षे.नि. 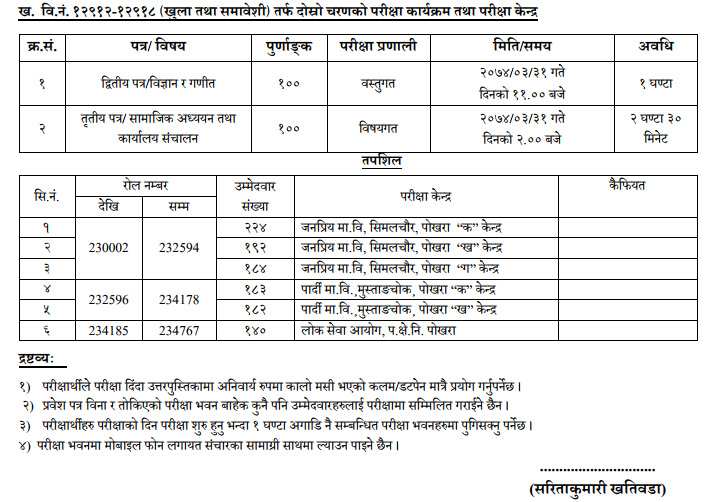 पोखराको वि.नं. १२९०९-१२९११ (आ.प्र) र १२९१२-१२९१८/०७३-७४ (खुला तथा समावेशी) खरिदार वा सो सरह पदको परीक्षा केन्द्र कायम गरिएको सूचना! 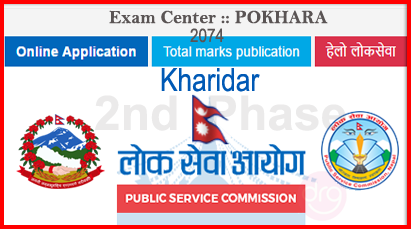 0 Response to "Exam Center Of KHARIDAR | SECOND PAPER | Written Exam 2074 | POKHARA | Lok Sewa Aayog [PSC]"